From the ultra-luxurious seven-star hotels to the private islands and exclusive nightclubs, Dubai has become famous as a playground for the rich and famous. But you don’t need a millionaire’s bank balance to enjoy some of the finer things on offer in Dubai. 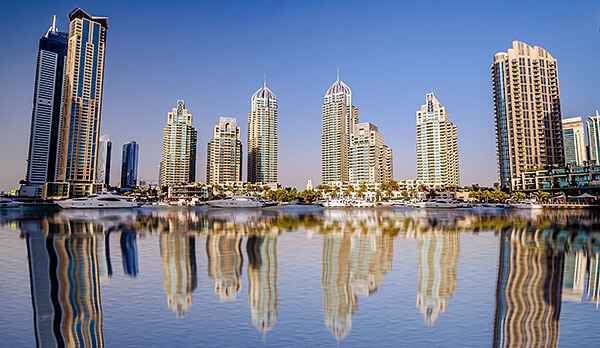 Summer is known as the low season in Dubai and this is the time to pick up excellent hotel rooms at highly discounted prices. To be fair, even chain hotels such as the Premier Inn Dubai International Airport feature a rooftop swimming pool boasting magnificent views over the city. Staying in the heart of the city during the summer will mean even bigger discounts although you will be slightly further from the beaches. The immense shopping malls in Dubai are a tourist destination in their own right. Many people chose Dubai holidays to stock up on designer clothes and luxury brand goods. The Outlet Mall may not sound glamorous but if you want to dress like a star then this is the place to get up to 70% discounts on designer clothes. Dubai is famous for its luxury hotels with private beaches but it doesn’t cost a penny to enjoy the many stunning public beaches. If you want some exclusive beach club action then hotels such as The Hilton offer day and weekend passes to non-guests. A weekend pass will cost around 185 AED ($50) and this provides access to the swimming pools, restaurants and the private beach with its magnificent views of the Abu Dhabi skyline. Dubai is home to the most spectacular set of reclaimed offshore islands. The palm tree shaped Palm Jumeirah has been described as the eighth wonder of the world while The World is a collection of islands that form a miniature world map; Richard Branson owns Great Britain Island. If you don’t fancy paying the 1,500 AED ($400) per night to stay at the luxurious The Palm Hotel then why not take a boat tour to view the islands. Yacht trips from the Art Marine can provide private tours of the islands with refreshments included. Women are in for a treat when it comes to enjoying some low-cost but upmarket nightlife. Ladies’ night promotions are everywhere and hitting the town on a Tuesday night means at least two free drinks in every bar. If you find yourself in the exclusive Boudoir Club at the Marine Beach resort you can take advantage of promotions such as free Moet Champagne all night long. Last updated by jack on 28 July, 2014 in Travel.